Football Accumulators - Where Should You be Betting Yours in 2019? Continuously updated for the 2018/19 Premier League season. Want to win more on your football accumulators? Of course, you do. This article reveals the football betting sites that will give you bonuses on top of your winnings, and the sites that will refund your losing stakes when you just lose out. These are the bookmakers to use for football accumulators. The big decision for many punters is whether to pick insurance or a bonus, so let’s tackle that first. This simply depends on the number of selections and the odds of your accumulator. If your accumulator has over ten selections and you’re close to winning, chances are you will be much more interested in doubling your winnings rather than getting your £5 back if one selection doesn’t come in. Therefore, when picking between the bonus and the insurance, we would recommend picking based on the size of the prize. If you don’t have many selections and the odds are short, then the bonus will not be significant. In this instance, it’s probably better to go with ‘acca’ insurance. bet365 is our recommended bookmaker for accumulator bonuses. Although they always had the best bonus, in January 2019 10Bet reduced their bonus payouts, and this has left bet365 as a clear winner. Out of the four bookmakers featured offering a bonus on accumulators, bet365 is our winner. They pay a larger bonus, pay it as cash and don’t have any requirements for minimum odds. Below you can read in-depth about the bonus structure for each bookmaker. bet365’s fantastic Euro Soccer accumulator offer includes the top domestic leagues in Europe along with the group and knockout stages of the Champions League. You can earn a bonus of up to 100% if you place accumulators on the Premier League, Serie A, Primera Liga, Bundesliga 1 or Champions League. Place a pre-match accumulator with bet365 of 3 or more selections on the full-time result or result/both teams to score markets combining teams in any of these competitions and, if successful, the relevant bonus will be added to your returns. After bet365, MansionBet has the strongest bonus structure available. Each selection must have odds of 1.20 and the overall accumulator must have minimum odds of 4.00. Winnings are paid as cash, and the maximum winnings is the same as bet365, at £10,000. 10Bet tweaked their accumulator bonus in 2019. It’s not as good as it previously was, but it’s still decent. Each selection must have odds of 1.20 and the bonus is paid as cash, up to £5,000. Coral have a relatively straightforward bonus on their accumulators. You can get a 10% bonus on your winnings, as a free bet, up to £100. There is a minimum stake of £2, with each selection having odds of at least 1.10 and cumulative odds of 2.50 for the accumulator. You will receive your free bet before 12 pm the following day. The amount of bookmakers offering insurance for this season is fewer than last year. 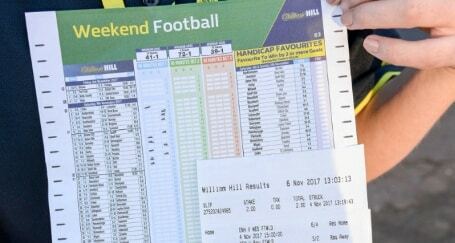 Bookmakers such as William Hill and Ladbrokes have withdrawn their acca insurance offers. This leaves Paddy Power with the best acca insurance offer. Betfair provides an alternative though. Their ‘Acca Edge’ product pay refunds as cash, rather than free bets, which makes them a very good option. It’s favourable to receive money back as a cash, as you have the choice to bet or withdraw. Paddy Power has relaunched their acca insurance. Only four selections are required (versus 5 last year) but the amount that can be refunded is £10 (versus £50 last year). Each selection needs to be priced at 5/1 or greater. This is available once per day, per customer. It can also be used for a same game multi. Betfair has a very different acca insurance product versus all the other bookmakers with. Betfair will refund you with cash. All you need is 3+ selections, and on the betting slip, an option will appear for ‘Acca Edge’. Once you tick it, Betfair will give you a price for your accumulator with the enhancement of insurance. The one drawback is that the odds will reduce slightly. This depends on the number of selections and odds, but if you’d rather have your refund as cash then Betfair is a great option. The Betfred acca insurance is middle of the road, with a requirement to have five selections, and each selection priced at 1.33 (1/3) or greater. There is a maximum refund of £10 which is issued as a free bet. It does cover almost all leagues and competitions. Next up we have the Bet Victor acca insurance. While it also needs a minimum of five selection, the requirement for odds is a little different. Rather than each individual selection needing to have certain odds, with Bet Victor, it’s just the total accumulator needs to have cumulative odds of 5.00. The maximum refund you can earn is £10. What’s better than insurance? How about just removing all of your losing stakes in your football accumulator. This is relatively new, being introduced a couple of seasons ago. Ladbrokes and bet365 introduced the ability to edit your accumulators. This season both bookmakers are continuing with this ability, but no others are yet to do so. Similar to insurance, if there is a losing selection in your accumulator, Ladbrokes allows you to simply remove it from the bet. Now, of course, this is not as good as it sounds otherwise you would win every weekend and Ladbrokes would have to close down. Essentially when you remove one of the selections, your old bet is replaced with a new bet and the new selections. The odds of your accumulator will therefore change. This was rolled out at the beginning of March 2017. Once you’ve placed your accumulator bet, ‘Edit bet’ is available when cash out is still available on your bet, and allows you to add or remove selections that have not yet been settled. It works the same as the Ladbrokes offer, in that the bet is replaced with new odds based on your new selection. We actually have an entire article dedicated to the best loyalty bonuses for existing customers, but we will give you a summary here. In terms of bang for your buck, Coral and Betway are worth considering. One thing to bear in mind is that there are some great bonus and insurance offers listed in this article, but they do require cash to be used to activate them, rather than a free bet. So should you be awarded a free bet on one of these loyalty schemes, be mindful of this. We reckon bet365 is the best betting site for football accumulators at the present moment in time. When we place our football accumulator, we prefer to bet with longer odds and quite a few selections. Therefore, we’re less concerned about getting £2 or £5 back on a losing stake, and more interested in getting even bigger winnings. Because bet365 have the best bonus currently, that is who we recommend for football accumulators.